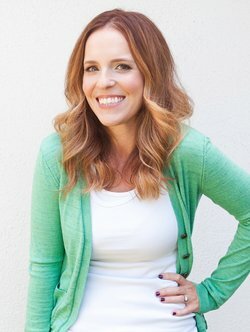 Rachel Hollis founded the LA-based event planning firm Chic Events at only 21. Six years later Inc. Magazine named her one of the Top 30 Entrepreneurs Under 30. She went on to turn Chic into the extremely popular lifestyle website The Chic Site where readers log in daily for the tips and tricks she acquired after years of planning fancy parties for celebrities! She has designed and produced fabulous events for many of Hollywood’s elite including Bradley Cooper, Al Gore, Rashida Jones, Jennifer Love Hewitt, Ivanka Trump, Jamie King, Sara Rue and Cuba Gooding Jr… just a name a few. 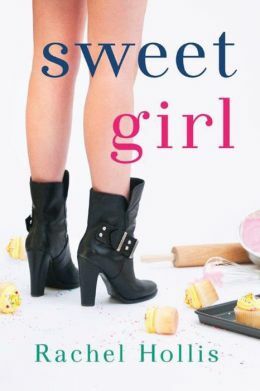 I was sort of familiar with Rachel Hollis’s website, The Chic Site, before I read Sweet Girl. I’ve even used a few of her recipes. I was, therefore, familiar with her writing style which is fresh and breezy, fun, but not shallow, and I found all of those qualities in this novel, which I read after a two-week period of reading much heavier material, so the change in outlook, as well as the upbeat, contemporary style was more welcome than the first sunny day after a week of stormy skies. I really loved Max, the “sweet girl” in Sweet Girl. She’s bright and prickly, creative and funny. I love that when we first meet her one of her hobbies is finding recipes on Pinterest and picking them apart. “I’m never going to be a food blogger,” she tells us. “…but I love following people who are.” That could be me, completely. I liked the supporting characters as well, Landon, the recent roommate who is going on an early date with one of Max’s beloved stepbrothers when we first meet her, the stepbrothers themselves, Brody and Liam, and all the other people who populate her life. Without exception these characters feel real, fresh, and like people you could easily run into in your favorite gourmet grocery store – personally I envisioned encounters in the Trader Joe’s parking lot. This is Hollis’ second novel (the first was Party Girl) and while the two are part of a series, this isn’t a direct sequel, as much a new addition to a set of stand-alones. Translation: I haven’t read Party Girl, and I didn’t feel like I missed anything because of that. If you want a fun, fresh read, a book that will flirt with you and make you want cupcakes, and totally not judge you when you eat six in one go, and then skip dinner, this book is what you need. Goes well with An iced skinny vanilla latte and a cupcake with pink frosting.